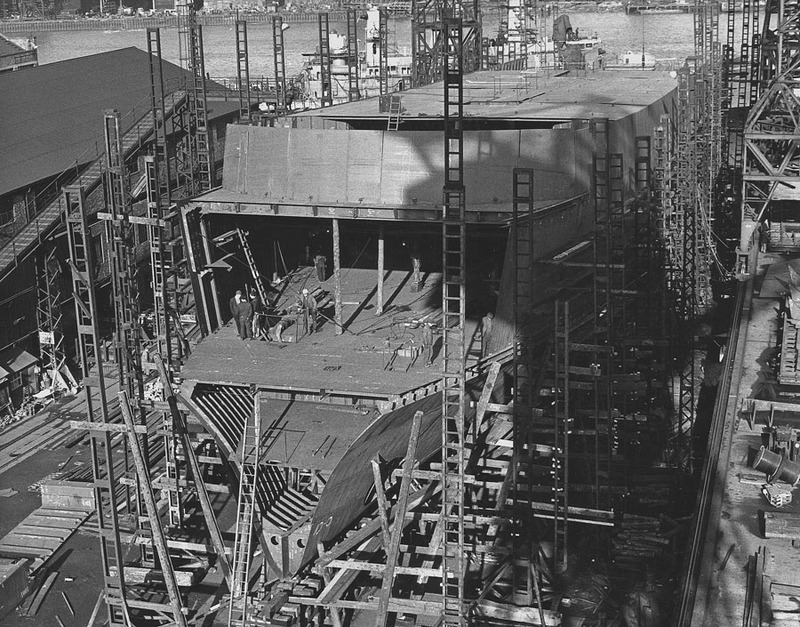 April 24th 1967: Launched. 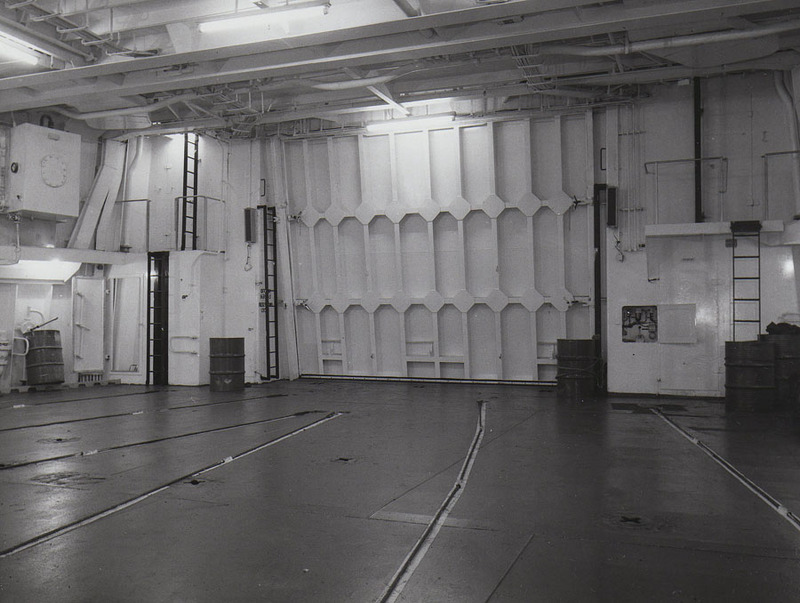 The ship was notable as being British Rail’s first seagoing ship to be fitted with a bow door. 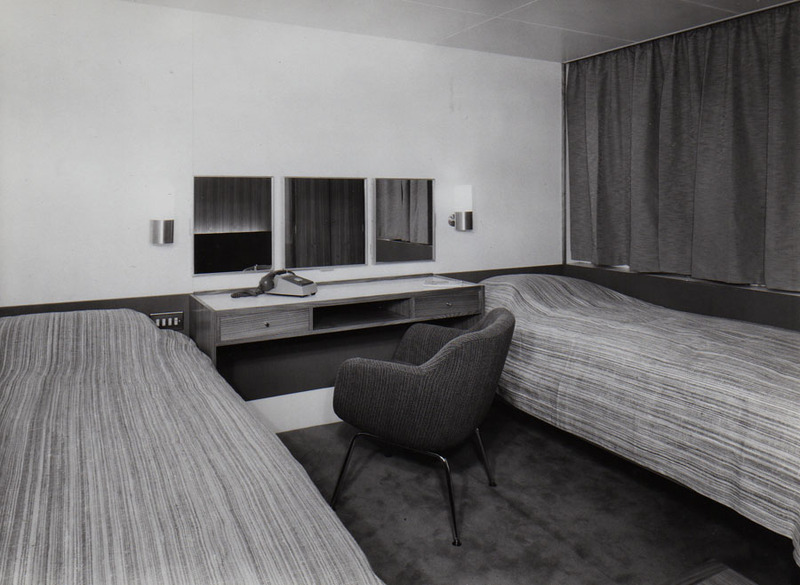 December 10th 1967: Delivered to Caledonian Steam Packet (Irish Services) Ltd, Glasgow, Scotland. 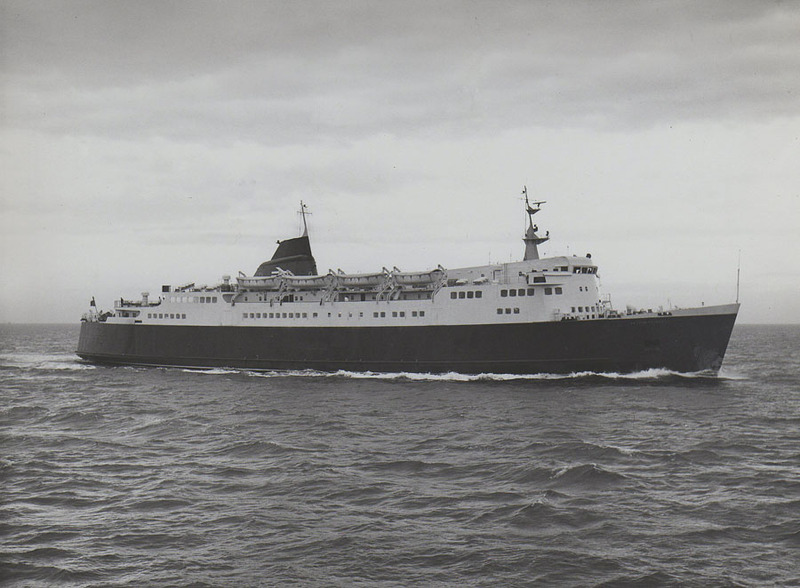 December 20th 1967: Commenced regular service between Stranraer – Larne. 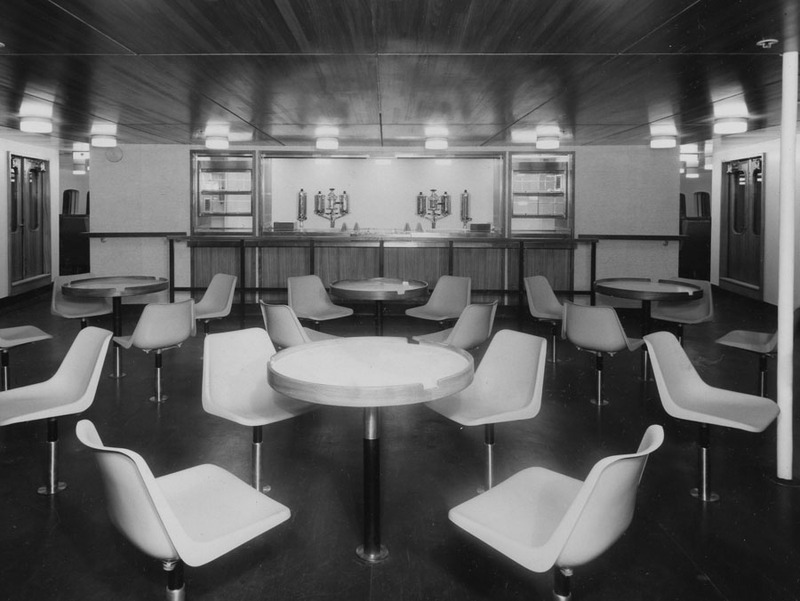 January 1st 1969: Ownership was transferred to British Transport Group, Stranraer, Scotland. 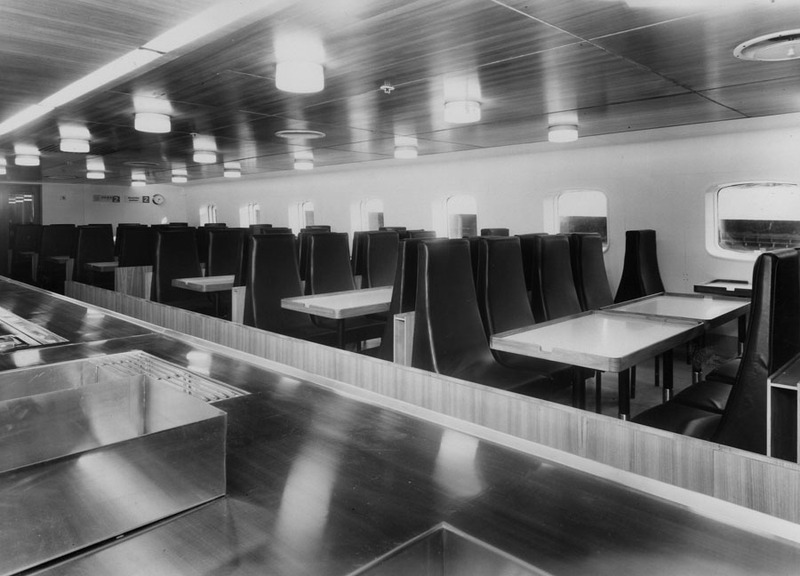 December 1974: The accommodation for second-class passengers was increased when the after end of the boat deck was enclosed. 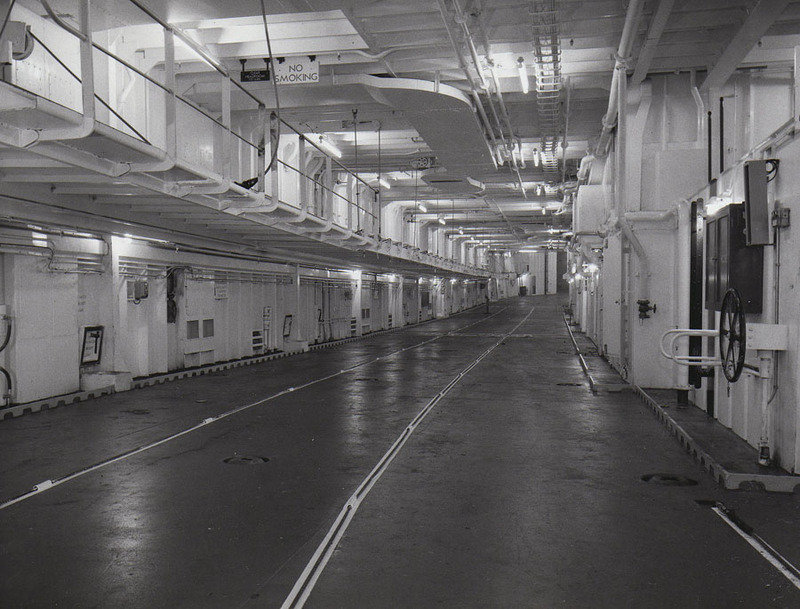 The area above, on the bridge deck, was then used for passengers. 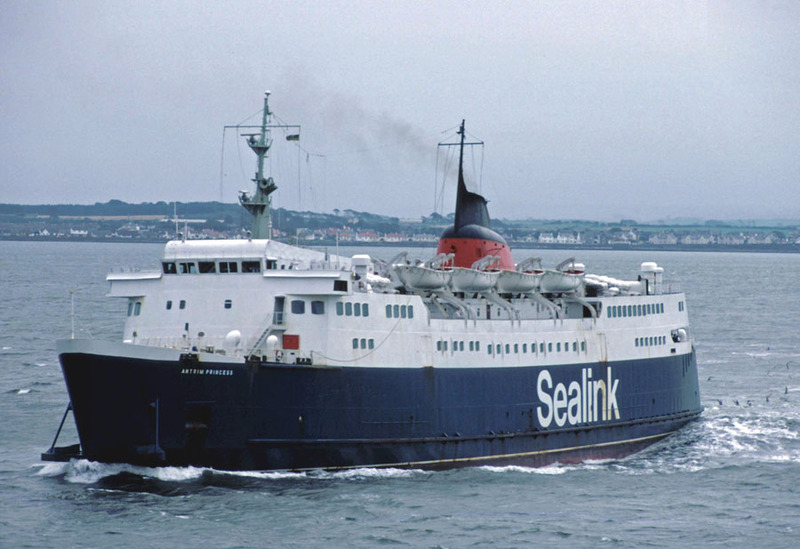 August 10th 1978: With the introduction of the DARNIA, Sealink were able to operate a daily schedule of up to 22 sailings a day with the ANTRIM PRINCESS, AILSA PRINCESS and the ULIDIA. For the first time on the route all four ships were to carry the British flag and manned by British crews. 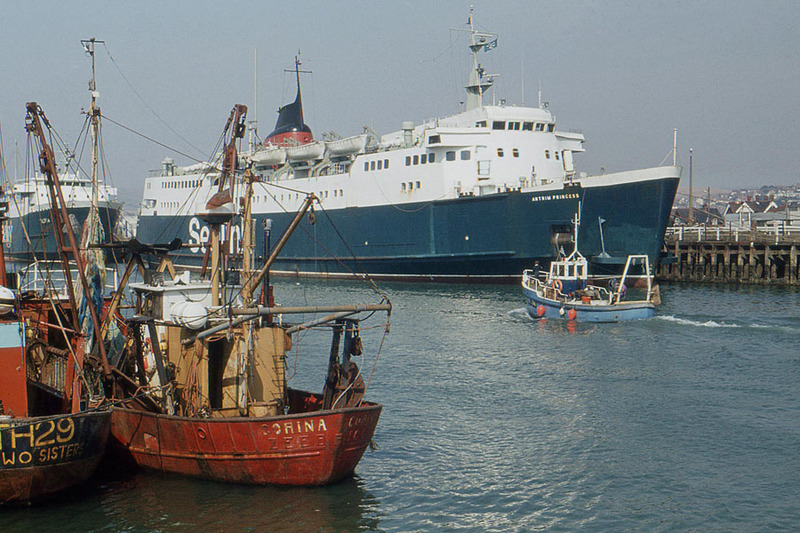 January 1980: To dry-dock at Holyhead. 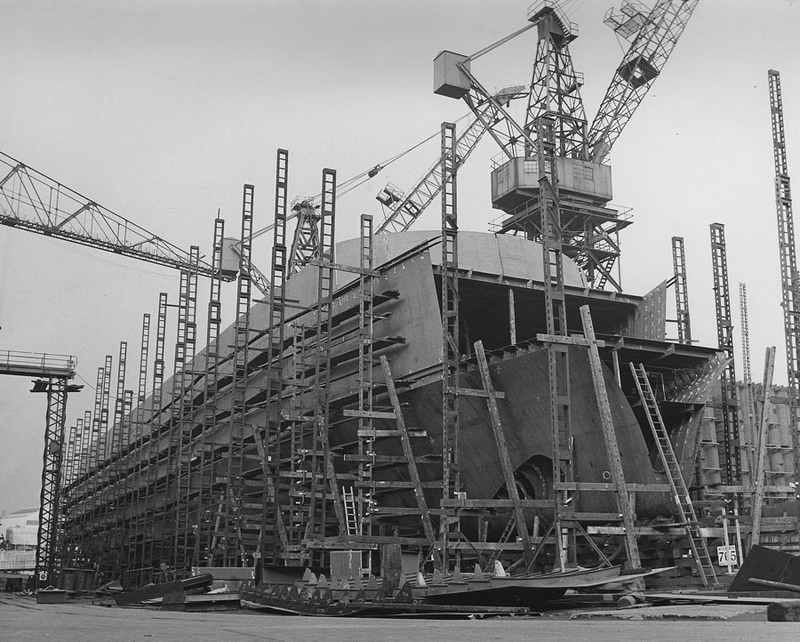 February 4th 1980: Left dry-dock. 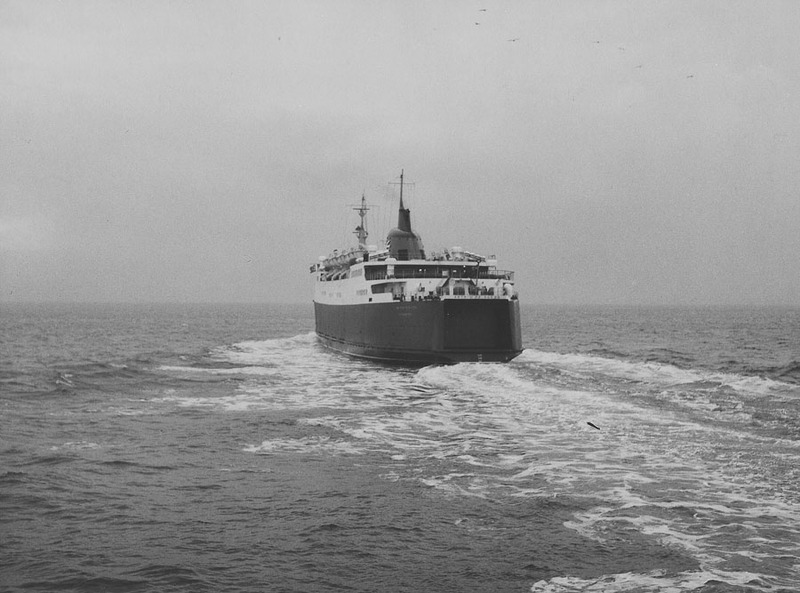 February 9th 1980: Departed Holyhead. 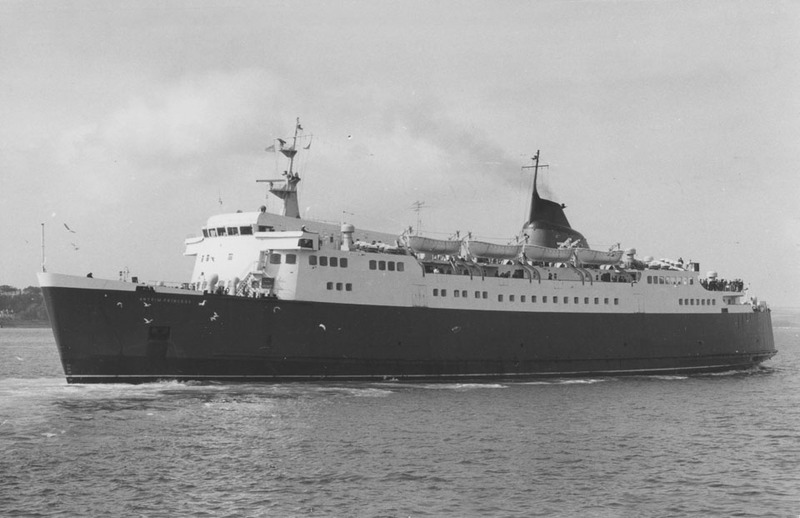 1980: Plans to bring her to Dover to cover for the EARL SIWARD (stripped turbine blades) were cancelled. 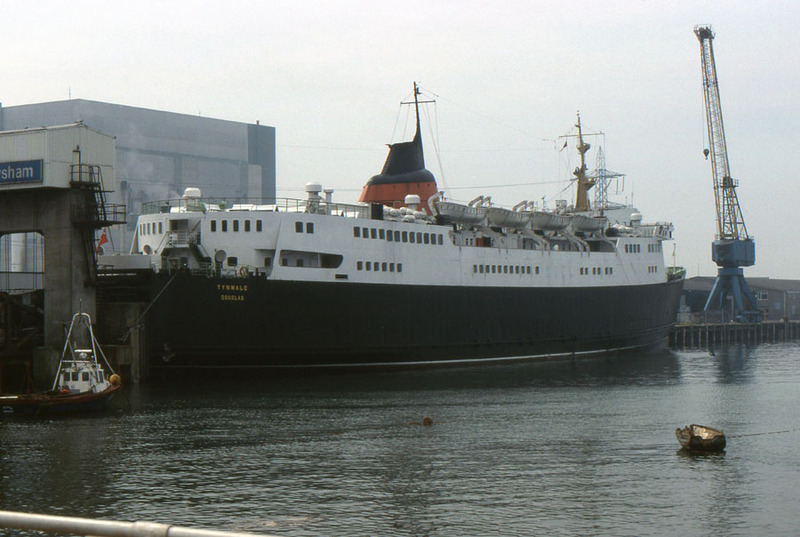 October 1980: Douglas – Heysham route. 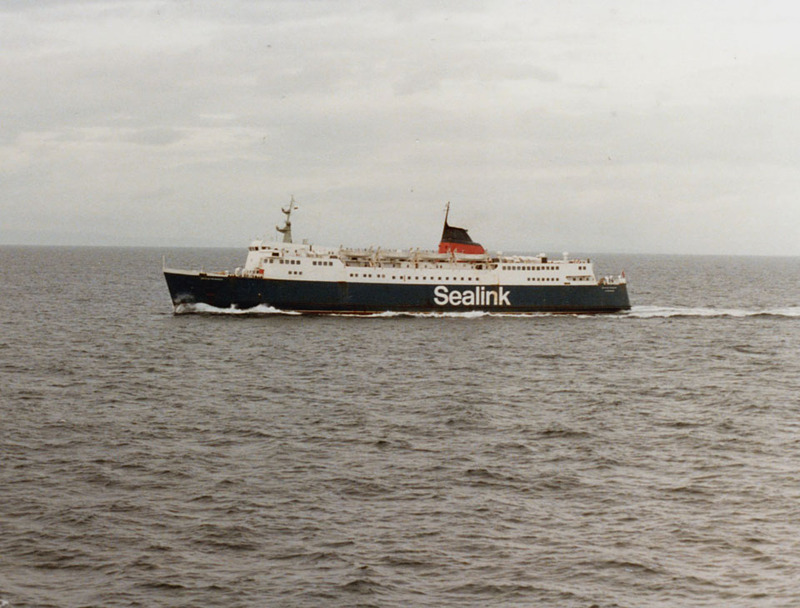 October 6th 1981 – November 1st 1981: Operated between Heysham – Douglas, then returning to Stranraer. 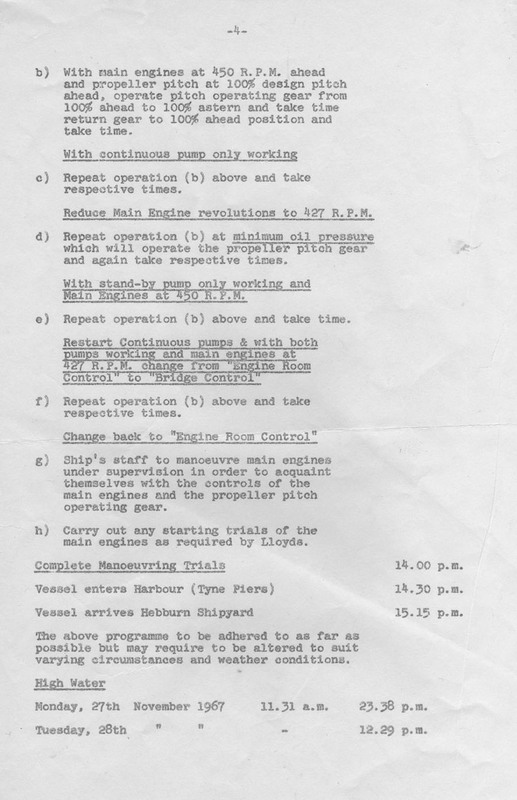 February 12th 1982 – March 11th 1982: Relief at Heysham. 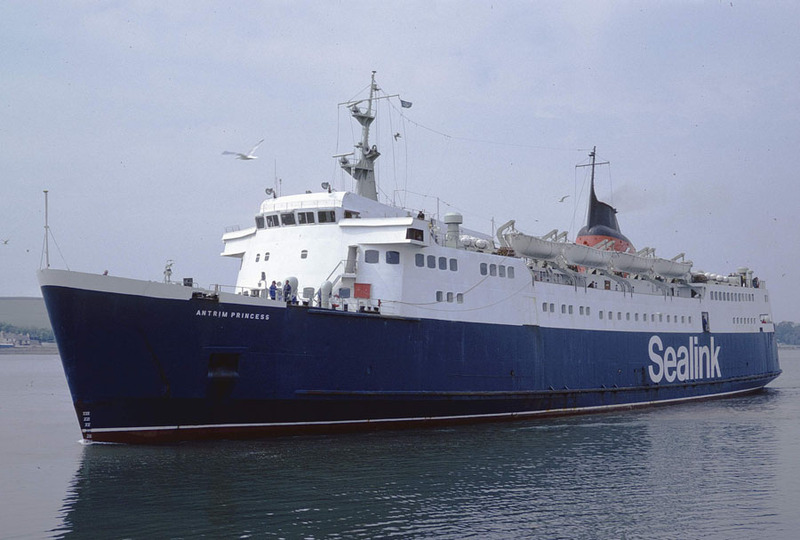 October 21st 1982: Arrived at Holyhead to act as relief. 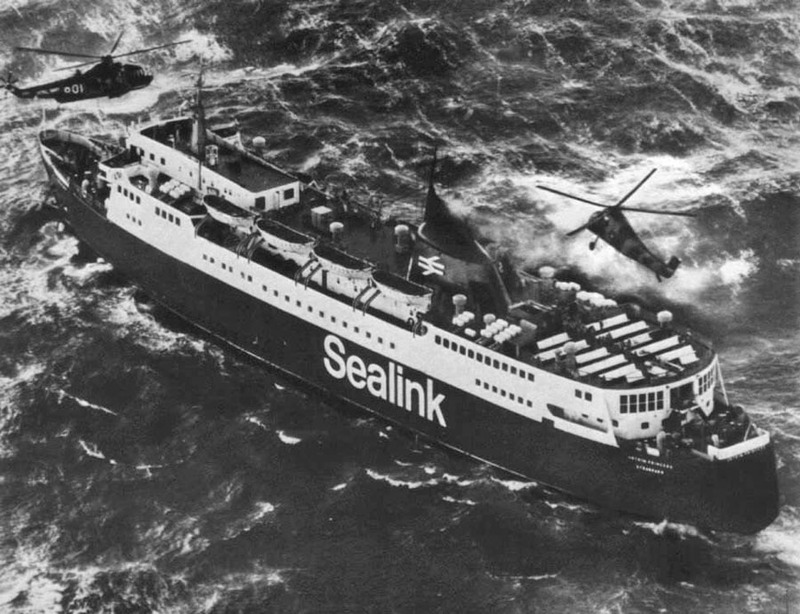 December 9th 1983: Four miles out from Larne on a routine crossing to Stranraer the vessel was at the centre of a major air sea rescue operation. 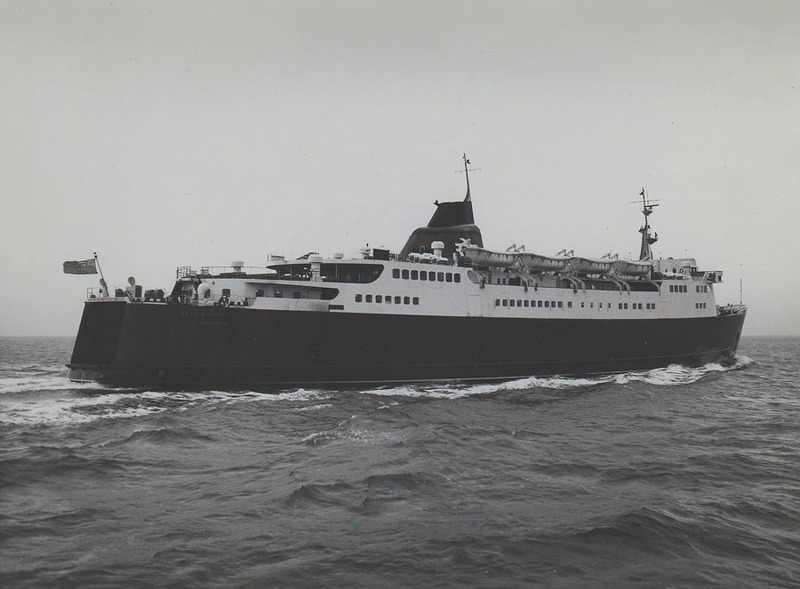 “Just before 1100, 30 minutes after leaving Larne on her usual 1030 sailing to Stranraer, the ANTRIM PRINCESS sent out a distress signal after losing all power due to a fire in her main switchboard. 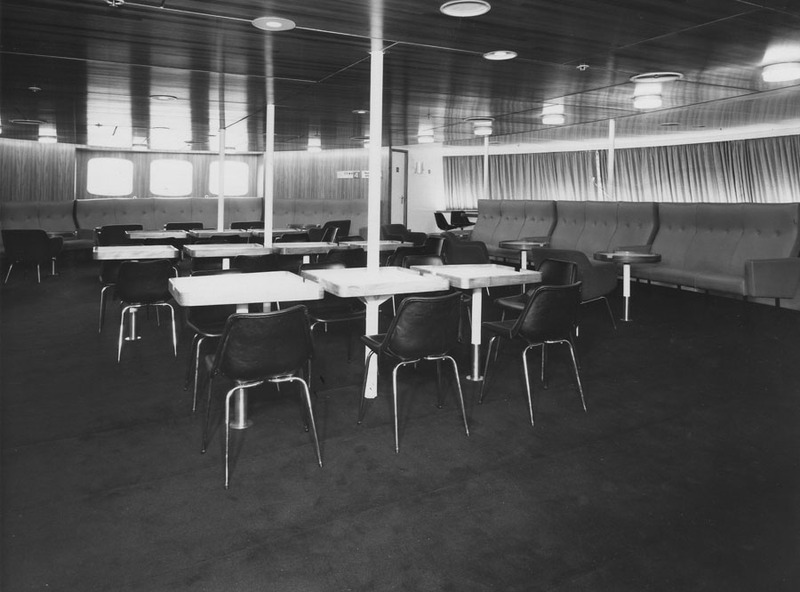 The ship had lost both steering and engines due to the fire and was drifting helplessly in 60 mile per hour winds. The ship’s anchors were dropped but in the deep water they didn’t hold the ship and she began to be pushed by wind and waves towards the shore at Muck Island, east of Islandmagee. Eight RAF and Navy Sea King helicopters from Prestwick and Aldergrove (near Belfast) were on the scene within 15 minutes. 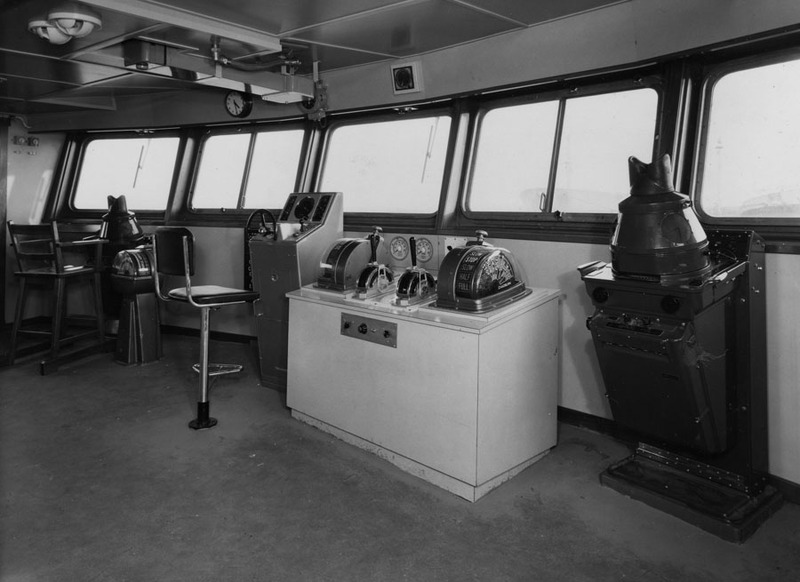 In view of the ship’s precarious position, now only half a mile from the rocks and disaster, her master Captain Tom Cree ordered that the 108 passengers onboard and 20 non-essential crew members be airlifted to safety. All the passengers were winched aboard the helicopters and landed at a temporary helicopter landing area set up in Larne’s Town Park. 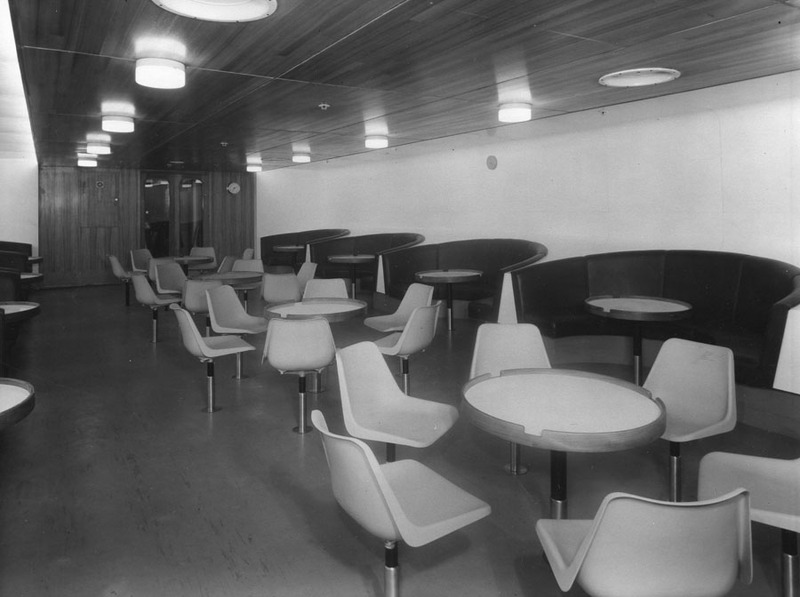 Passengers were taken from there on to Moyle Hospital for medical examination and then they were given a hot meal at the local Highways Hotel. 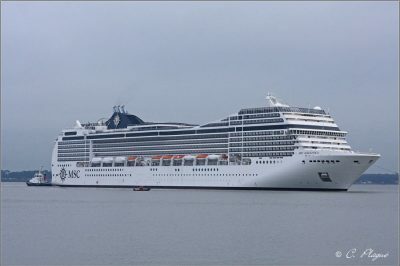 Thankfully no one was seriously hurt and everyone spoke highly of how well the crew had dealt with the evacuation. 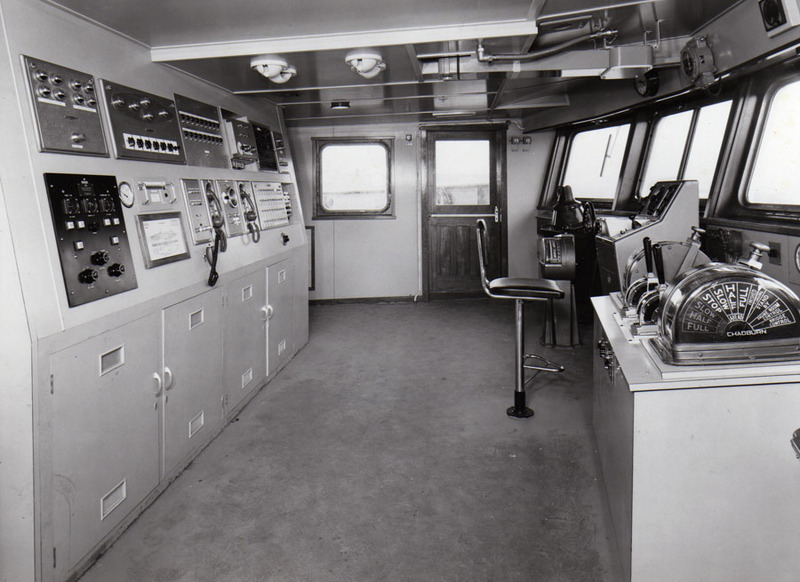 Back on board the ANTRIM PRINCESS, her anchors had finally dug into the seabed in shallower water and were holding the ship firm about half a mile from the coast. Seamen battling in the dark had managed to get the fire under control and the engineers got the port engine re-started, restoring some power to the ship. 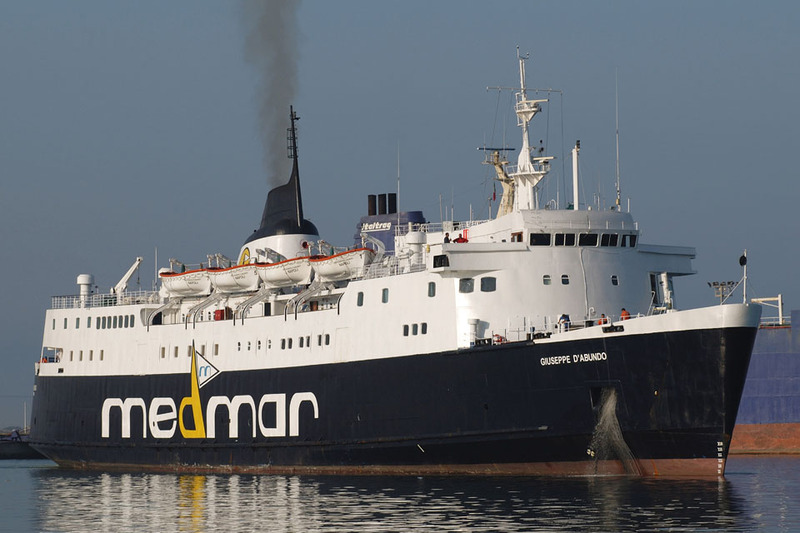 By now several ships were on standby near the ANTRIM PRINCESS including her fleet mates DARNIA and GALLOWAY PRINCESS the Donaghadee lifeboat and the Townsend Thoresen vessel EUROPIC FERRY. 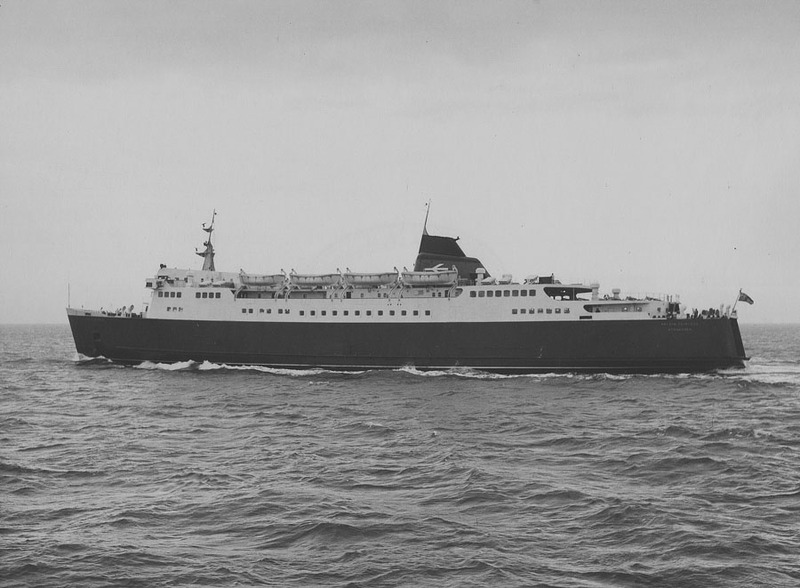 The EUROPIC FERRY attempted to take the ship in tow but only succeeded in fouling the tail rotors of a rescue helicopter with the line. With some skilful manoeuvring the pilot managed to avert an air disaster and got the helicopter touched down safely at Portmuck on Islandmagee. 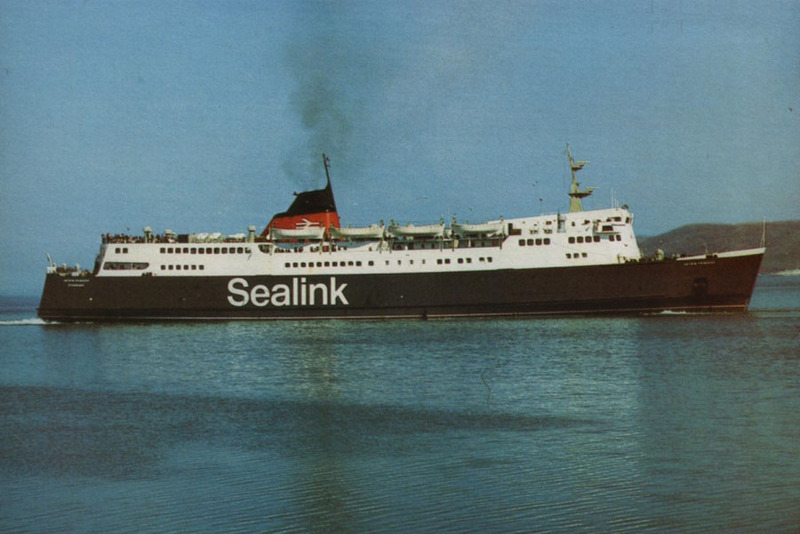 July 18th 1984: Sale of Sealink U.K. to Sea Containers Ltd, Bermuda. 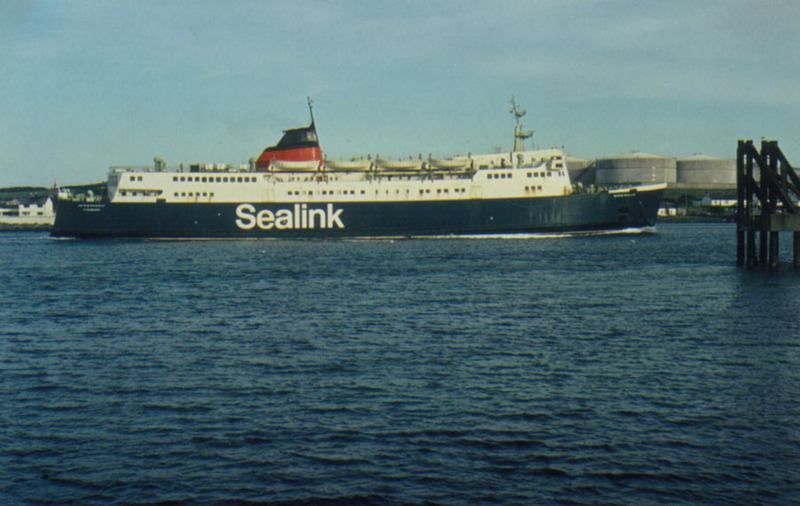 Company changed name to Sealink British Ferries U.K.
July 27th 1984: Registered to Sea Containers Ltd, London. 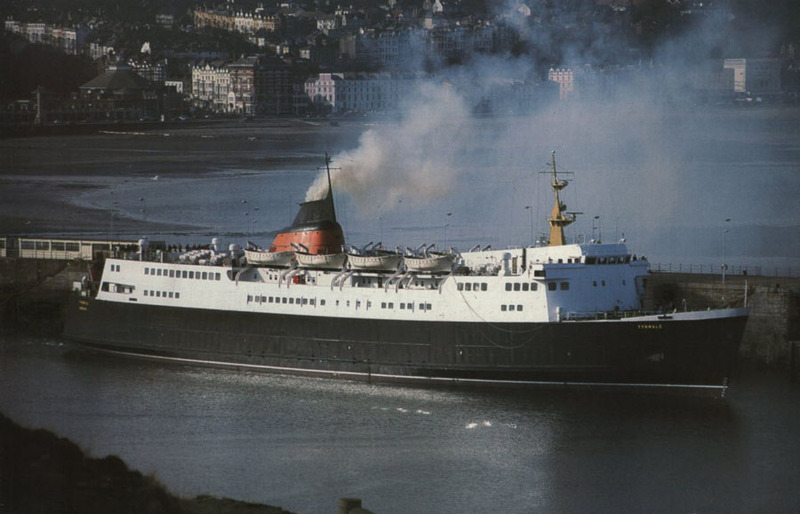 October 5th 1985: Chartered to the Isle of Man Steam Packet Company. 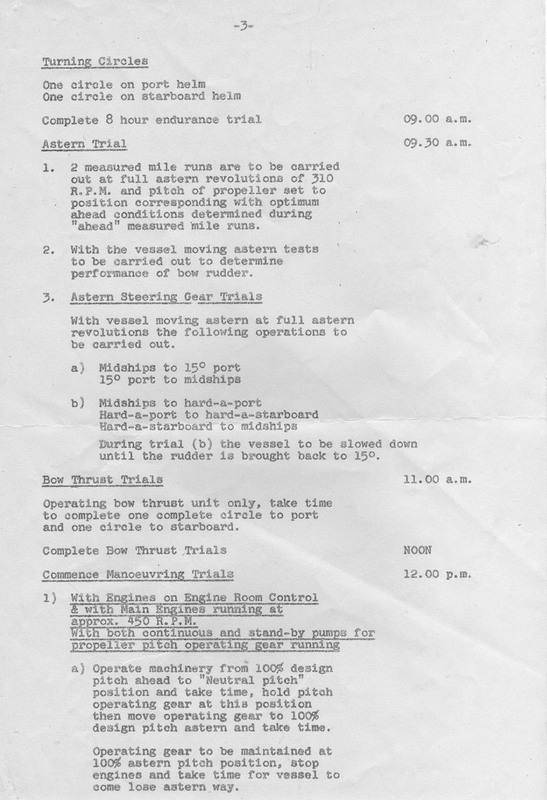 October 4th 1985: Douglas docking trials. 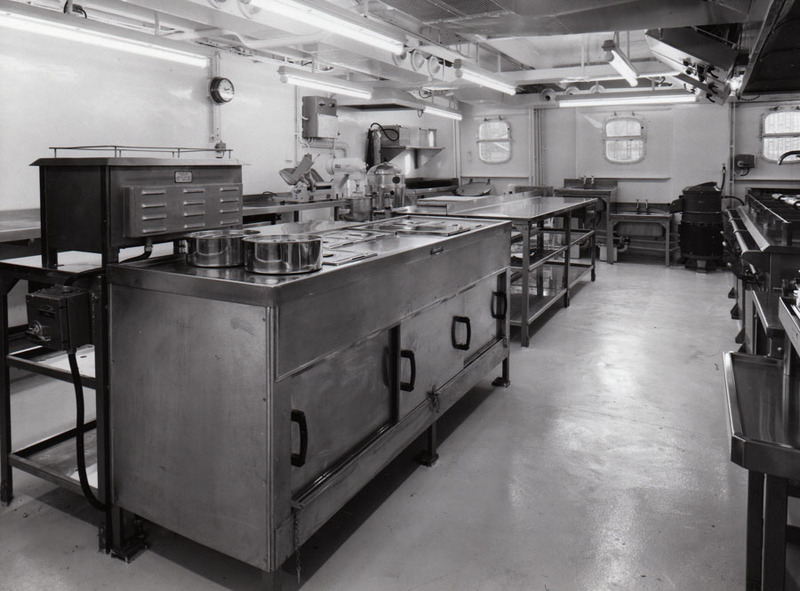 October 5th 1985: Arrived at Douglas in preparation for service. 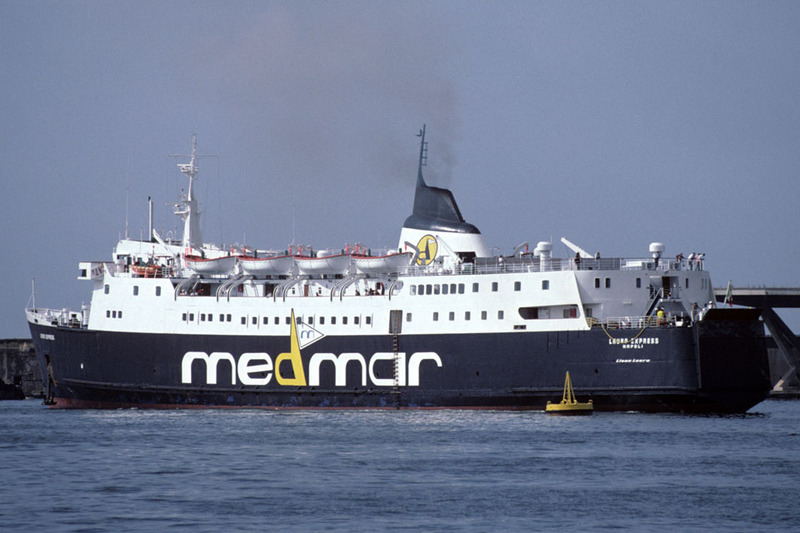 October 6th 1985: Commenced service. 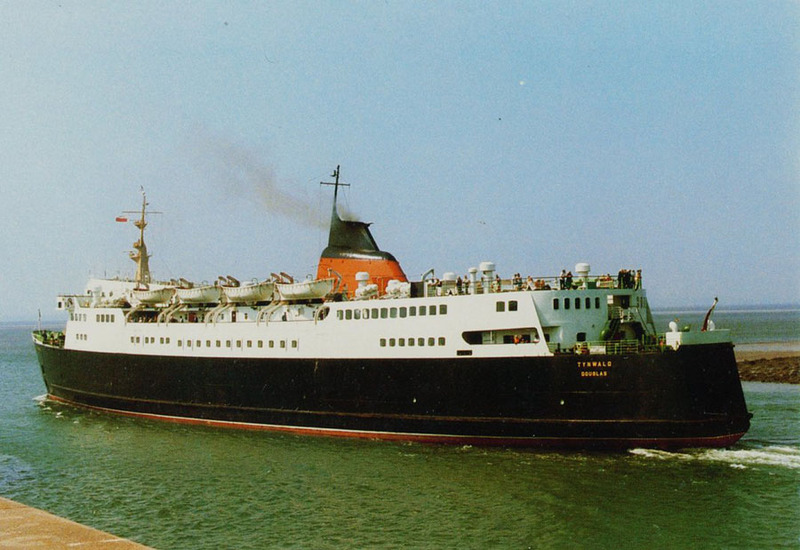 April 1986: Renamed TYNWALD. 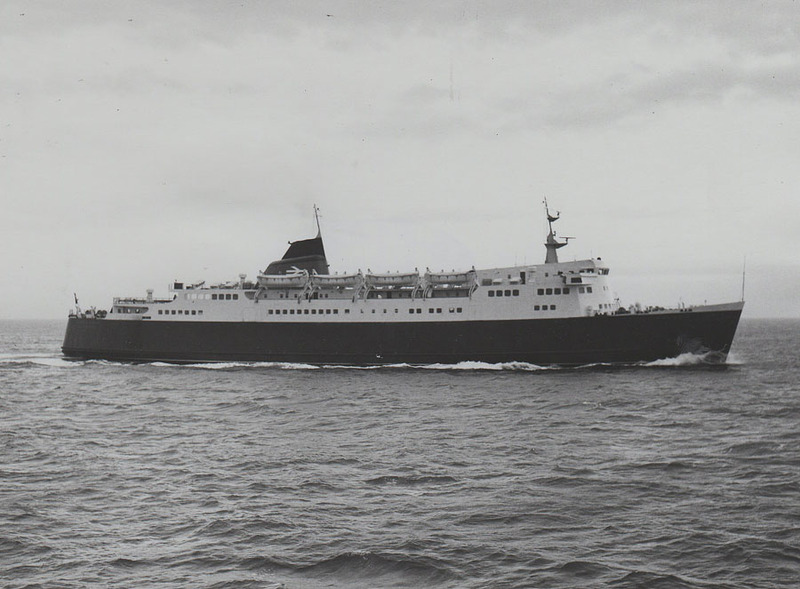 Her port of registry was also changed from Stranraer to Douglas. 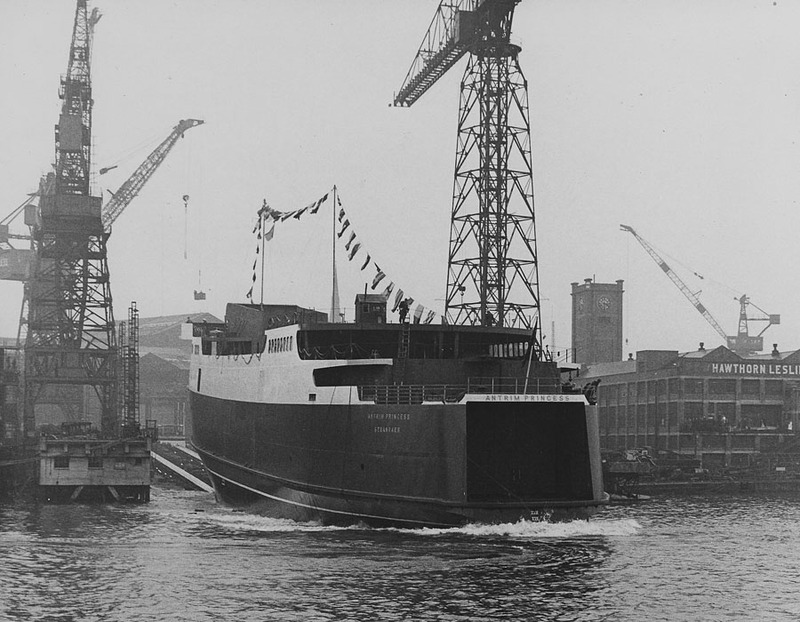 May 2nd 1986: Commenced service between Heysham – Douglas, at the same time being transferred to the Isle of Man. 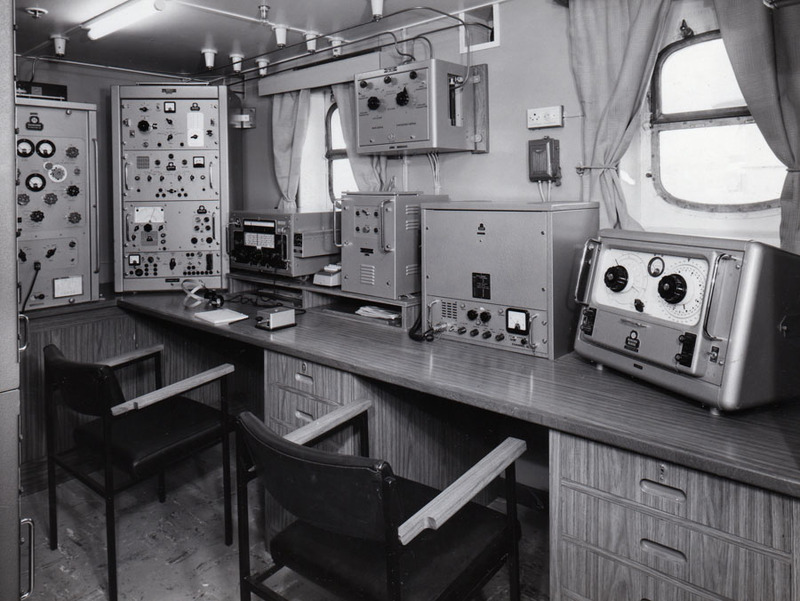 December 4th 1986 – December 13th 1986: Strikebound over manning levels on the PEVERIL. 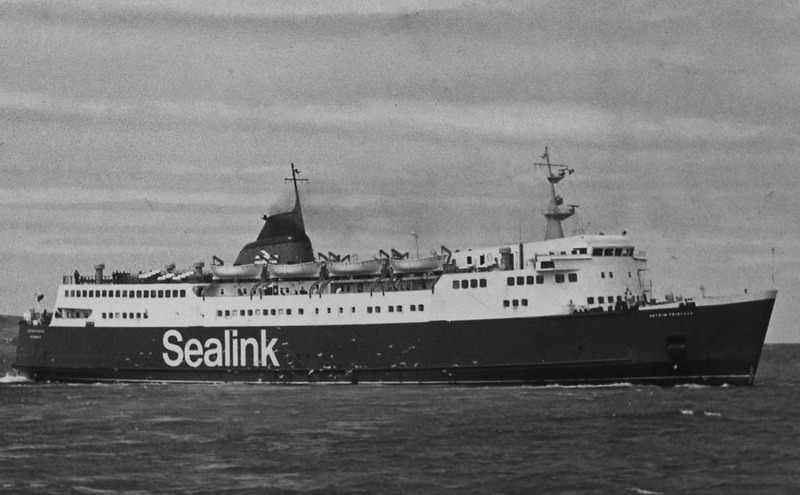 1987: A further strike over pay and conditions meant she was trapped at the link-span for 47 days. 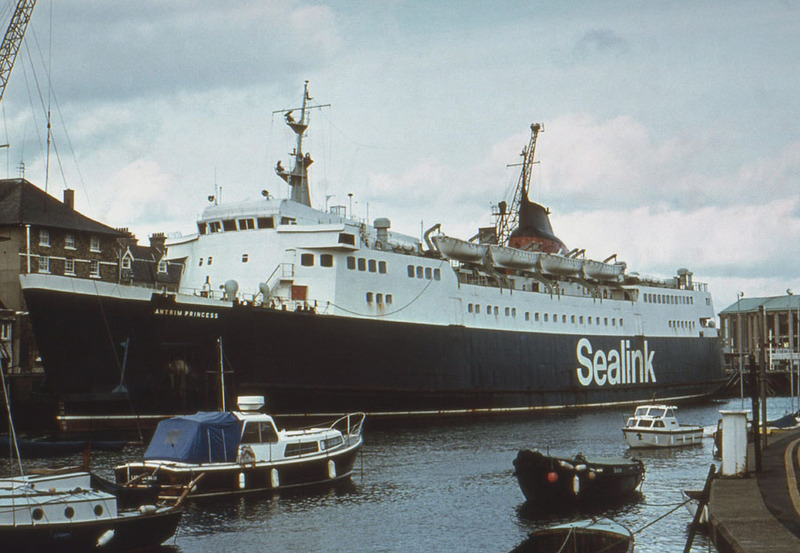 1989: Named by the Department of Transport, as one of the ferries not meeting the latest “stability in damaged condition criteria”. 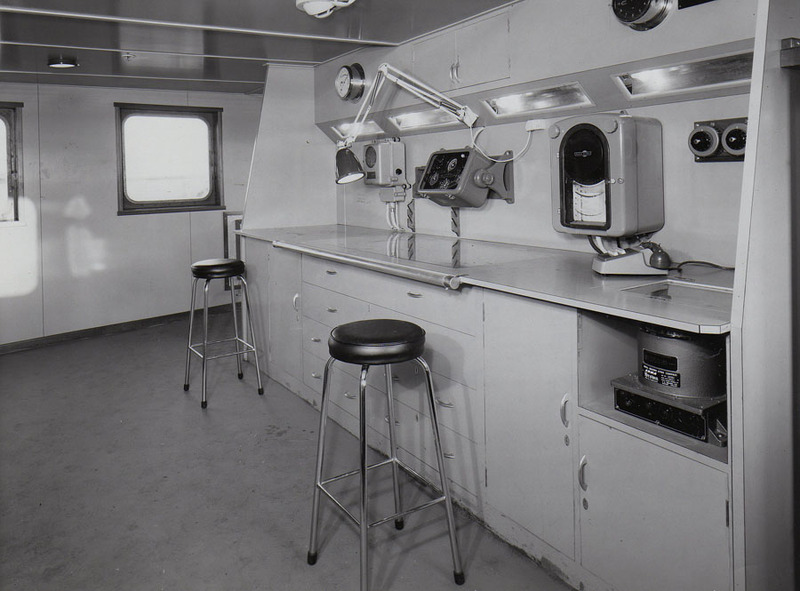 February 18th 1990: Final day in service. 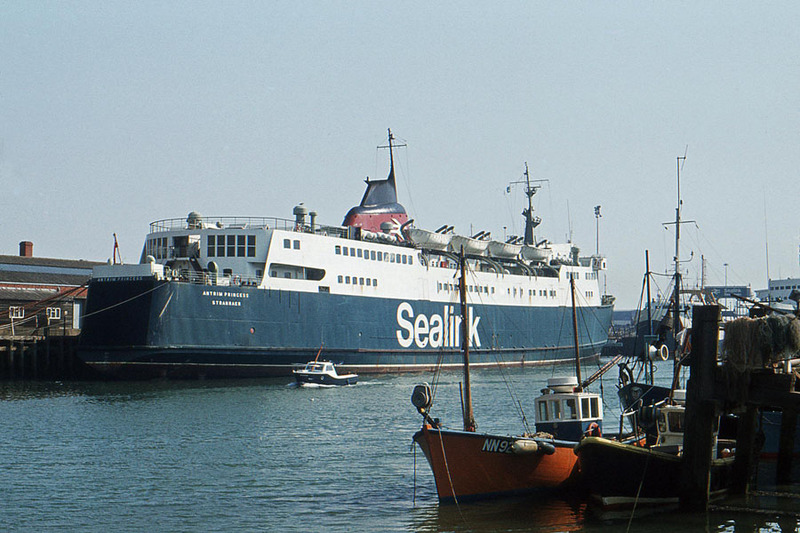 February 22nd 1990: Laid up in the Fal. 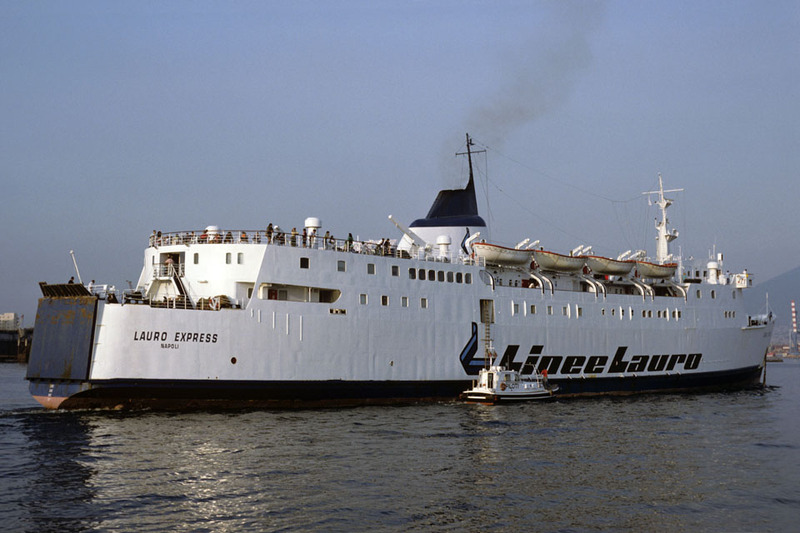 March 1990: Sold to Agostino Lauro S.R.L. Naples, Italy. 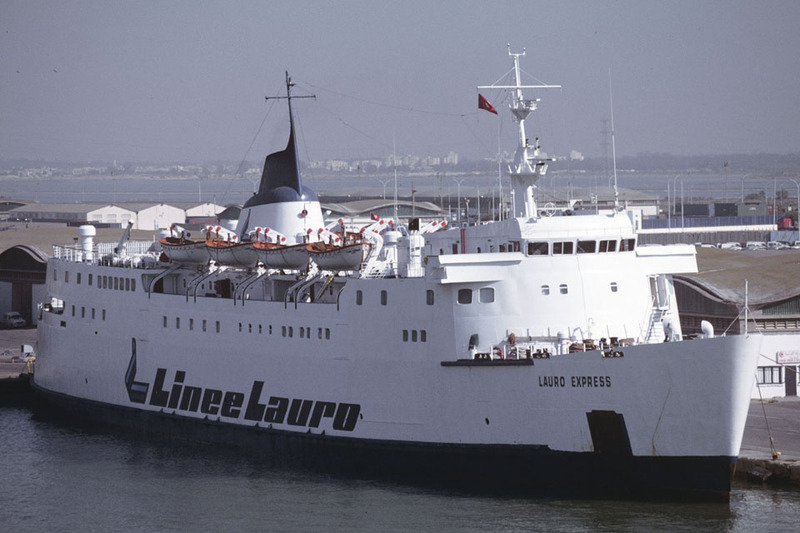 Renamed LAURO EXPRESS. 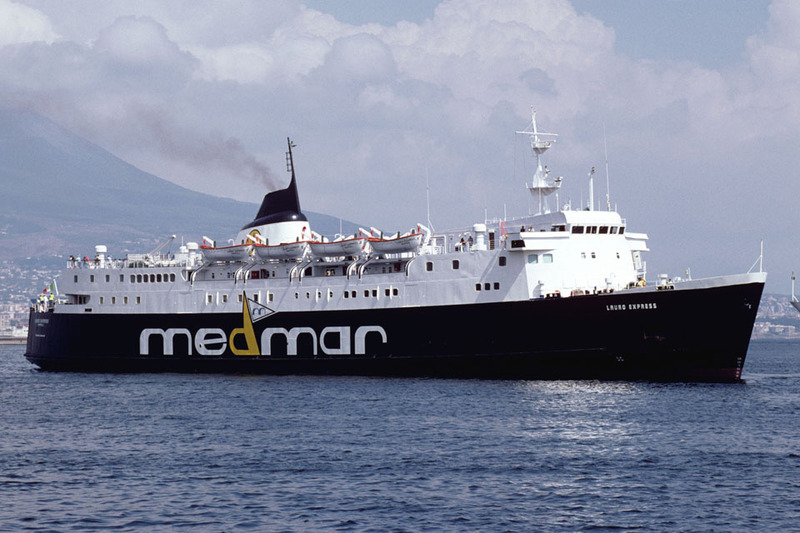 1990: Commenced service between Naples – Palau – Porto Vecchio. 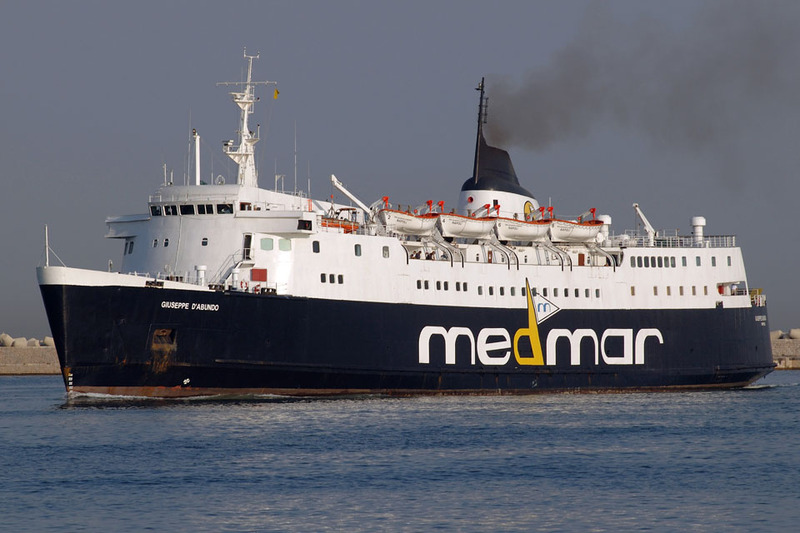 2002: Received a black hull under the new Medmar trading name. 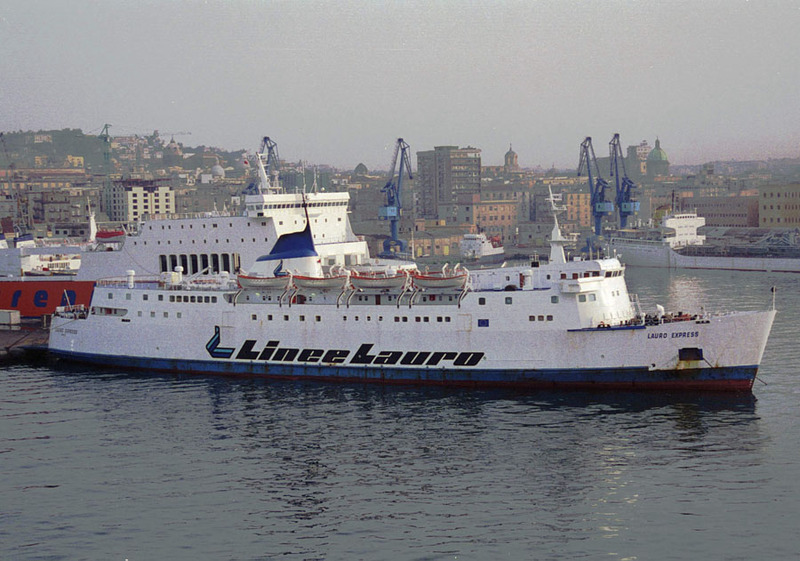 December 2003: Began operations for Alilauro. 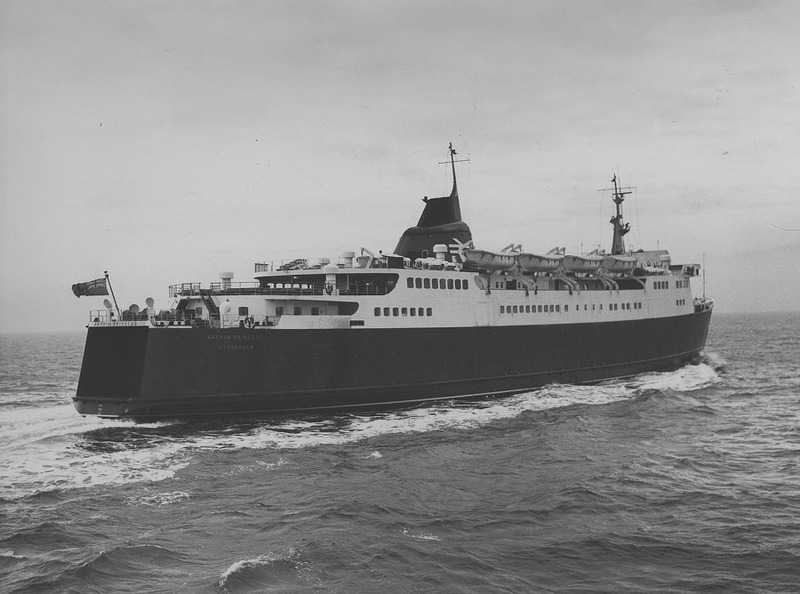 Renamed GIUSEPPE D’ABUNDO. 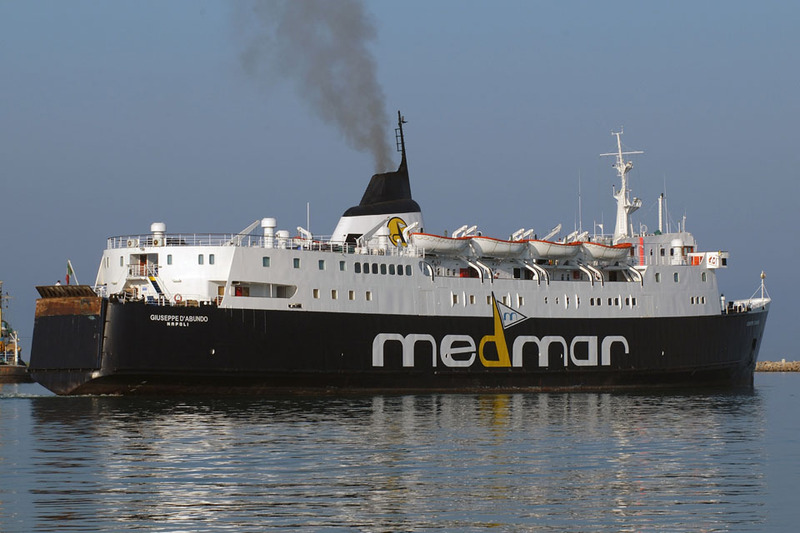 Before the summer season could get into full swing however, Medmar closed their route from Sete – Palma de Mallorca, which had been operated by the GIULIA D’ABUNDO (ex-QUIBERON) . 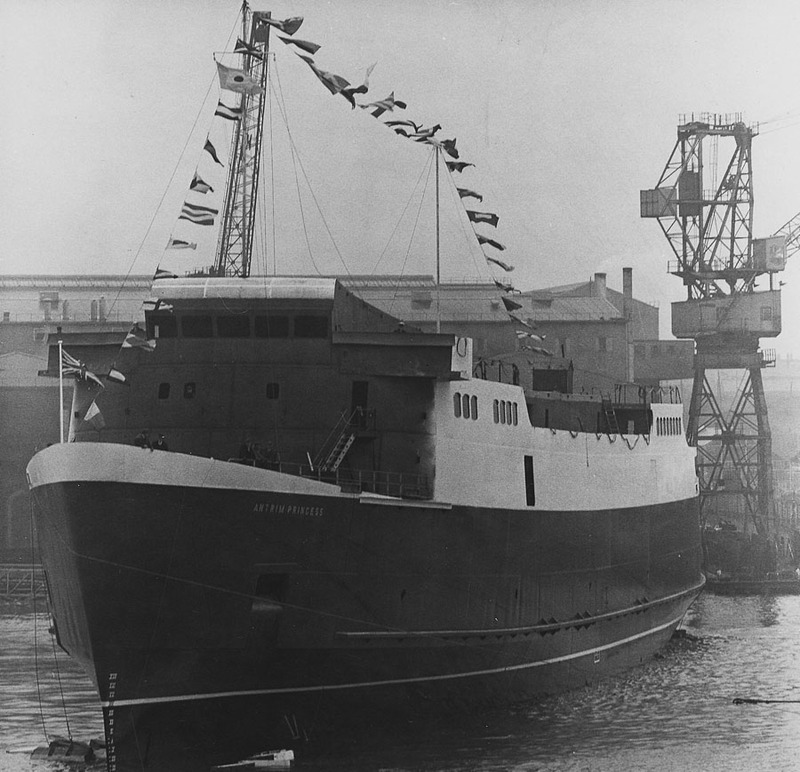 The displaced ship was moved round to Italy and took the place the GIUSEPPE D’ABUNDO being laid-up in Naples. 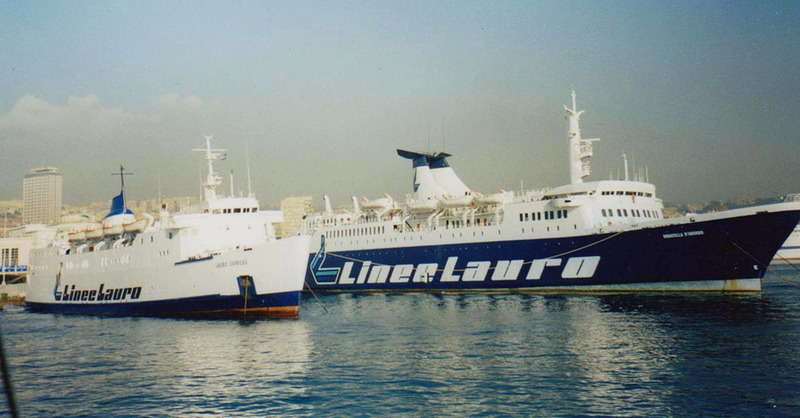 2005 (Summer): In service Bari – Durres. April 15th 2006: Reportedly sold for scrap. February 7th 2007: Scrapped in India under the name STELLA. All information is believed to be correct and no responsibility is accepted for any errors or omissions found. All items included in this article are subject to © copyright. We would like to take this opportunity of thanking: Aubrey Dale, Brian Fisher, Tony Garner, Don Hazeldine, Frank Heine, A G Jones, Trevor Kidd, Ken Larwood, William MacDonald and Andreas Wörteler for their assistance in producing this feature. Special thanks go to Terry Conybeare. 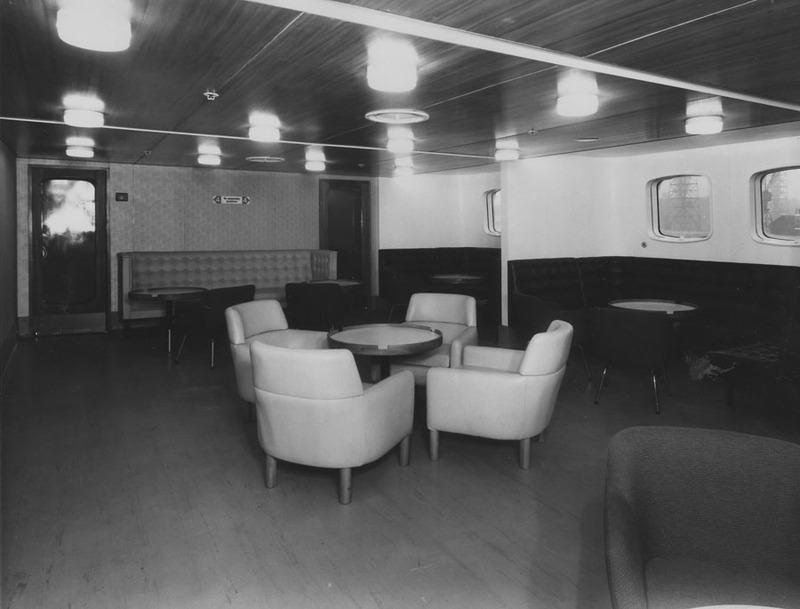 I was on the Princess when the Irish incident happened. Brings back memories seeing this. 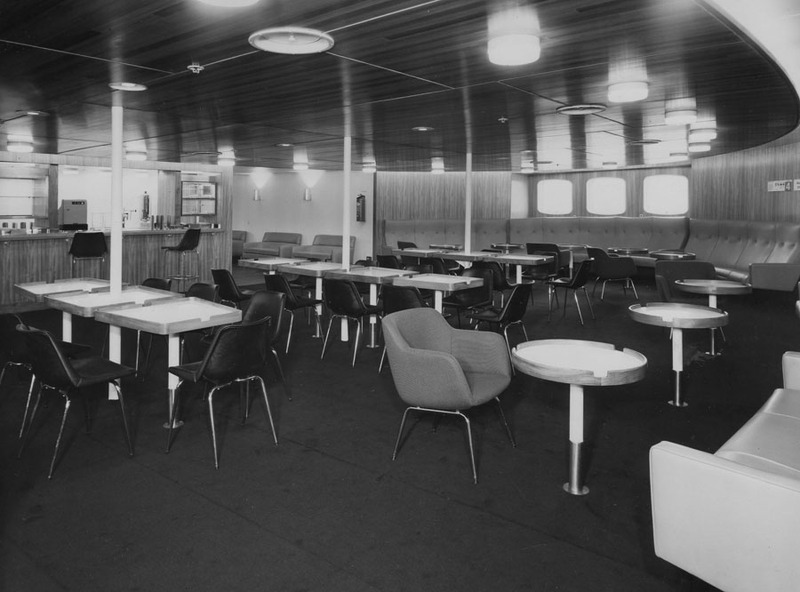 So was I. Amazine to see the inside pictures of the dining room. Was able to see just where I was sitting with a bowl of soup when the engine sound suddenly stopped and the lights went out. The crew started running about. “Condition Red, Condition Red” came over the tannoy. 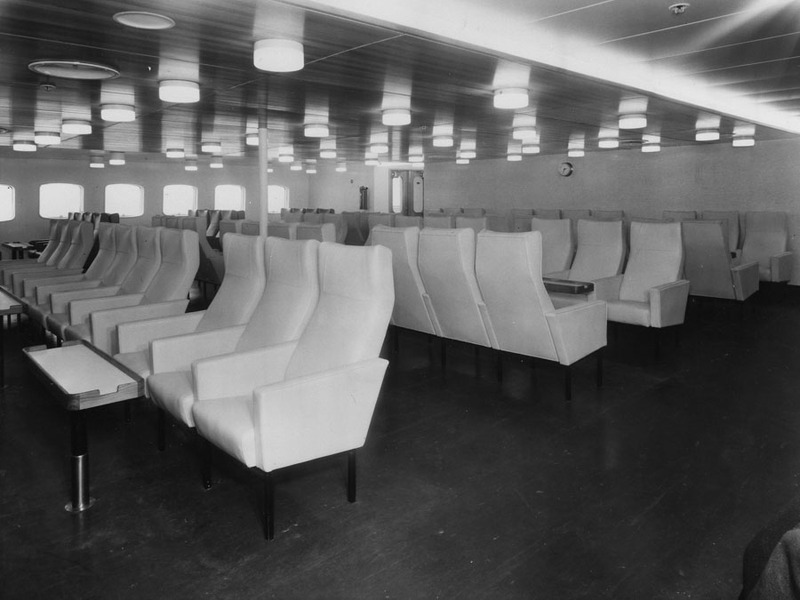 Amazingly passengers didn’t seem to panic. The eeriest bit was standing in a queue, life jackets on and hearing the sound of glasses in the bar smashing to the ground with the swell and wondering what was going to happen next. 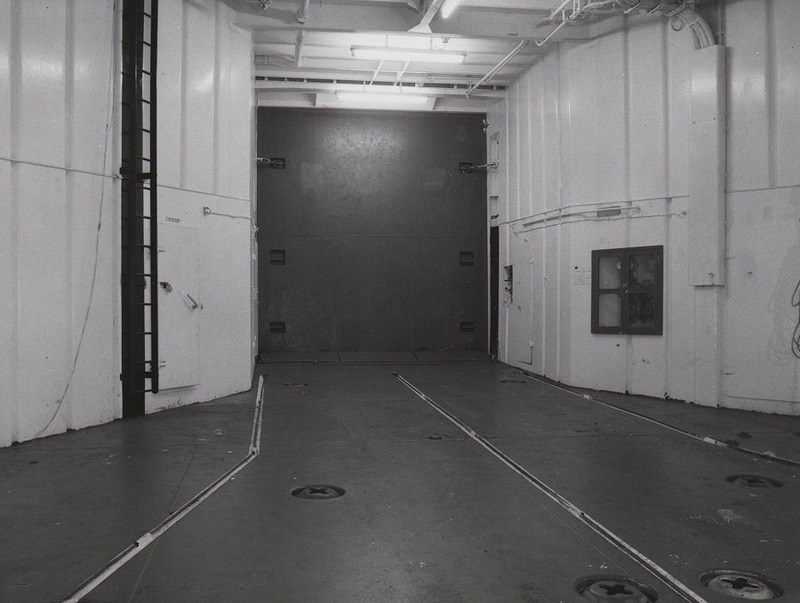 Then looking through the porthole just to see a pair of legs suspended in the air while being winched up into a Sea King helicopter – then I realized what was going to happen next! Experience of a lifetime and not a celebrity or jungle in sight! 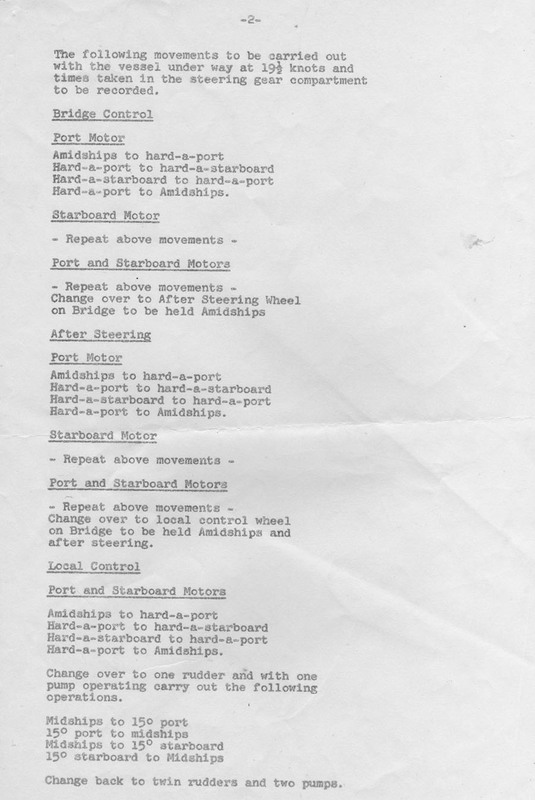 The report on the engine room fire mentions Ailsa Princess standing by, but this would actually have been Galloway Princess as the Ailsa was operating on the English Channel by then. 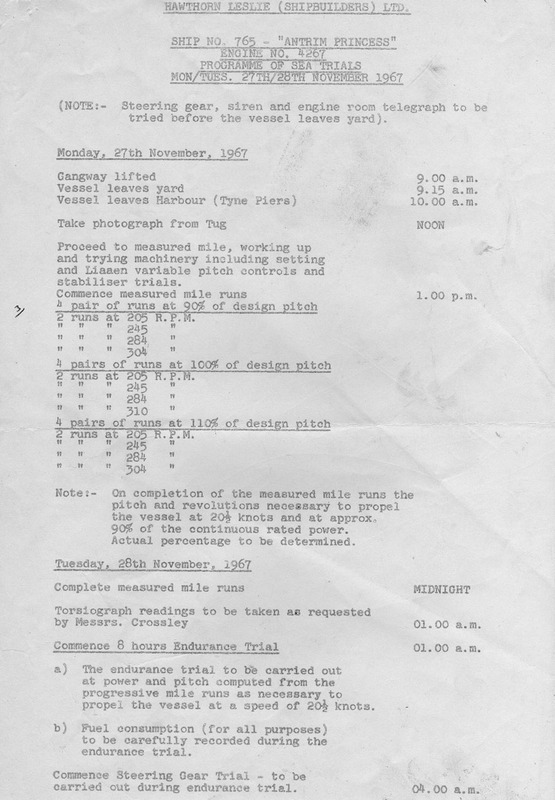 Incidentally I remember news reports in the following days mentioning that the Galloway Princess had developed engine problems of her own.